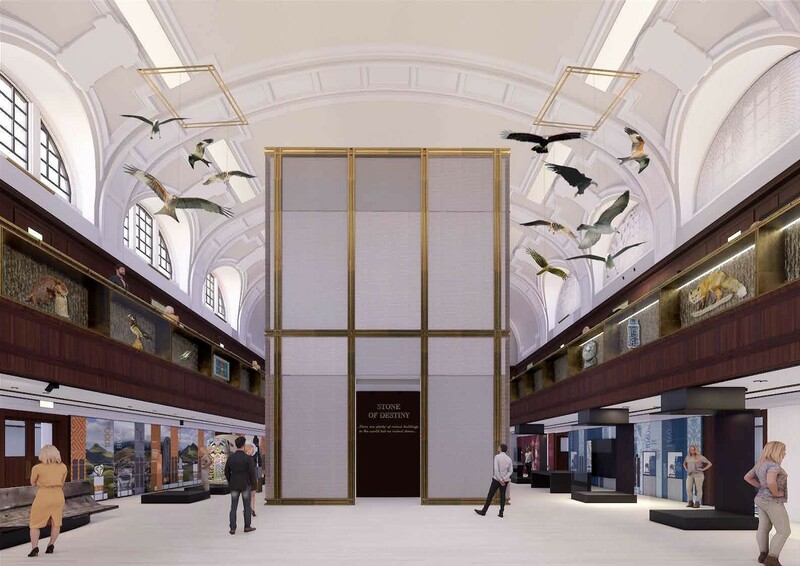 Perth & Kinross Council have published new perspectives showcasing the interior of a new look Perth City Hall which is to be remodelled as an exhibition space documenting the city’s rich past as Scotland’s first capital. 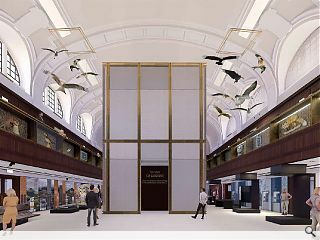 A programme of work overseen by Mecanoo will see a new vennel entrance created to connect directly with surviving medieval streets while a central pavilion will house its star attraction, the Stone of Destiny. In a statement the authority wrote: “The images reveal a fresh, clean look, maintaining the distinctive curved roof and period features which so many people remember from concerts and events at City Hall. A striking new vennel entrance, linked to the surrounding medieval vennels of Perth, will entice people into the building. Preparatory work is already underway for the ambitious scheme in the form of trial excavations around the exterior of the building. Exhibition designs have been undertaken by Metaphor. The improvement works are planned as part of the Tay Cities Region Deal and should complete by late 2021.